BBC’s world at 7 Bn maybe old, but its very interesting indeed. 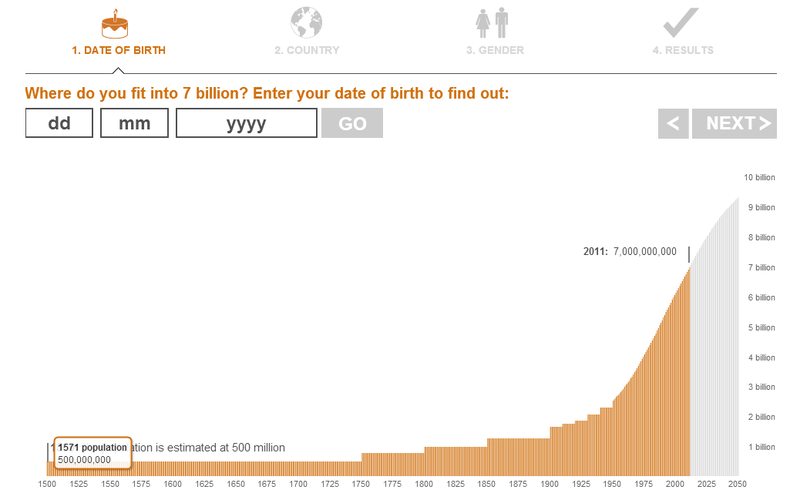 It shows you approximately what number you are in the history of the world and how many people have lived before you! Its creepy, but insightful.